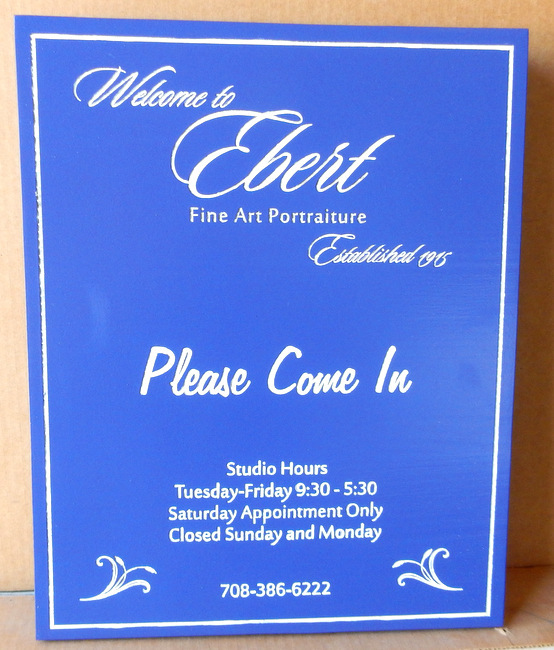 Above is a carved, High Density Urethane sign made for a fine art portraiture studio. This sign features engraved text, borders and decorative lily trim. The sign is then painted with long-lasting automotive-grade enamels and clear-coated twice, making the sign ready for either indoor or outdoor use. To view many more retail and business signs in Gallery 28A, please click on "Return to List" below right.turn to List" below right.